Opelika first appears on maps as far back as 1733. The earliest people in Opelika were the Creeks or Muskogee Indians. Early traders called them "Creeks" because of their habit of living along rivers and streams. The first white settlers in the area now known as Opelika arrived in the late 1830s and established a community called Lebanon. After the removal of the native peoples by force in 1836-37, the area became known as "Opelika", taken from a word in the Muskogee language meaning "large swamp". Settlement was sporadic until the late 1840s, when Opelika quickly became a commercial center with the coming of the railroad. In 1848, the Montgomery & West Point Railroad Company extended a rail line from Montgomery, Alabama to Opelika, and in 1851 completed a connection to West Point, Georgia, thus connecting Opelika with Atlanta, Georgia. This line was the only direct rail route between New Orleans and the Eastern Seaboard, and rapidly became one of the primary trade lines for shipments of raw cotton from Southern plantations to the North. The Montgomery & West Point was soon joined by a rail connection to Columbus, Georgia in 1855, and a connection to Birmingham, Alabama in 1869. Almost overnight, Opelika became a regional hub for commerce. To manage this rapid growth, Opelika was incorporated as a town on February 9, 1854. As a result of Opelika's transportation infrastructure, many warehouses for storing cotton and other goods were built. With the onset of the Civil War these warehouses were converted to Confederate supply depots. In 1864 and 1865, Union raids commanded by Lovell Rousseau and James H Wilson attacked Opelika, tearing up the railroads and destroying all government property, including Opelika's warehouses. Soon after the end of the war, the Alabama state legislature created a new county out of parts of Macon, Russell, Chambers, and Tallapoosa counties to be named after Confederate general Robert E. Lee. In 1866, citizens of the new "Lee County" voted Opelika as the county seat, despite the fact that Opelika was technically unincorporated after having its charter revoked for abetting the rebellion against the United States. After Opelika received a new charter in 1870, rapid growth resumed. The town nearly doubled in size between 1870 and 1900. During this time, Opelika began to gain a reputation as a wild, lawless town. Soon after receiving the new charter, city officials attempted to scam outside investors by issuing fake railroad bonds. For this, the town's charter was revoked again in 1872, and the town was administered as a police district by the state legislature for the following year. Opelika's downtown was packed with saloons, and frequent gunfire in the streets led to railroads ordering passengers passing through Opelika to duck beneath the windows to avoid being shot. In 1882, voters dismissed the incumbent city government. Unwilling to give up power, the city council nullified the election until the courts ruled against them. When the state yet again revoked Opelika's charter, the city leaders took up arms against those that opposed them, and the governor was forced to send in the militia to restore order. Opelika remained under unelected military rule for the sixteen years until 1899, when Opelika's charter was again restored. In 1900, local investors founded the Opelika Cotton Mill as the first textile plant in the city, employing 125. In 1925 Pepperell Manufacturing Co. (now WestPoint International) constructed a large mill just outside of the Opelika city limits. The period between 1930 and 1970 would turn out to be Opelika's heyday, as industrial growth turned Opelika into a regional economic powerhouse. Opelika continued to add factories and other industry throughout the middle years of the twentieth century. In the 1950s, Opelika attracted the nation's first and largest magnetic tape manufacturing plant. In 1963, tire manufacturer Uniroyal constructed a massive plant in Opelika, and around the same time Diversified Products revolutionized the physical fitness equipment industry with products produced their Opelika plant. By the early 1970s, Opelika's industries employed nearly 10,000. Between the late 1970s and 2005, non-agricultural employment in the Auburn-Opelika area grew at a slow but steady pace. By the late 1990s, Opelika sought to increase its industrial employment base by purchasing and developing a 2,200 acre park site, Northeast Opelika Industrial Park. Since 1999, two major distribution centers, four tier 1 automotive suppliers and one manufacturer / distribution center of dietary supplements have located within the park. In 2003, the park was recognized as one of the “South’s Best Automotive Assembly Plant Sites” by Southern Business & Development, an industry trade publication. Opelika has also experienced a boom in retail development. TigerTown, a 130-acre mixed-use development, is eat Alabama’s largest retail center with more than 1,000,000 sq. ft. or retail space. Located at the intersection of Interstate 85 and Highway 280 (Exit 58), TigerTown is home to more than 70 businesses. Across the interstate from TigerTown is the recently opened Carmike Tiger 13 Cinema which boasts of having the largest screen in the nation. Following major renovations, The Historic Downtown Opelika is enjoying a return to the center of life in Opelika. The shopping and restaurant district has been improved with a turn of the 20th century flair. Opelika is filled with a variety of specialty shops, galleries, antique stores and restaurants. 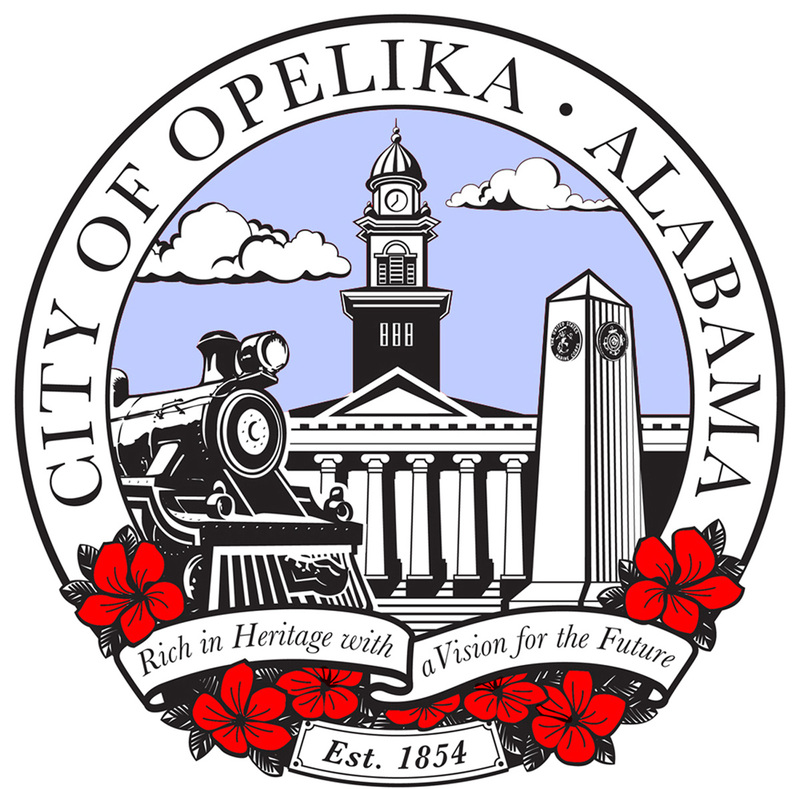 Wanting to keep up with future technology for businesses and homes, Opelika invested in the fiber optic system and became Alabama’s first “Gig City” which means she has one of the most advanced, high-tech 100% fiber optic systems in the world! With the new fiber optic network, Opelika can now offer a complete package of home technology. There is almost no limit to what can be done with fiber technology. Power, Video, Voice, and Data services – working together with the convenience of one provider.